IPv6 link-local addresses - CCNA Academy-a Free CCNA Tutorials. Study CCNA for free! IPv6 link-local addresses | Link-local IPv6 addresses have fewer options for how far they can travel: only in a network segment to which a host is connected. Routers do not send packets intended for a link to other links. 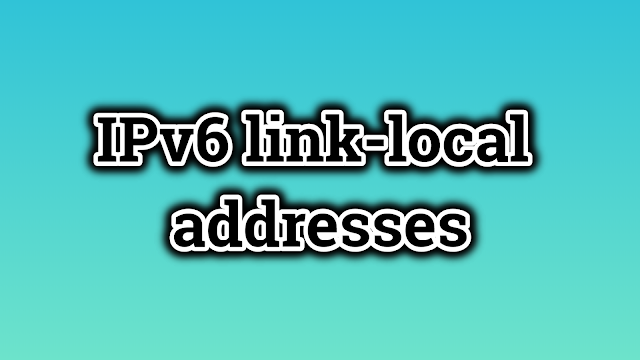 Each network interface that has the IPv6 protocol enabled must be assigned a link-local IPv6 address. A host can automatically download its own link IP address, or the address can be manually configured. Shortcut addresses have the prefix FE80 :: / 10. They are mostly used for automatic address configuration and adjacent searches.